Why not come along and join the discussion? We're running a number of sessions based on different house types. Click on the picture below for full details. 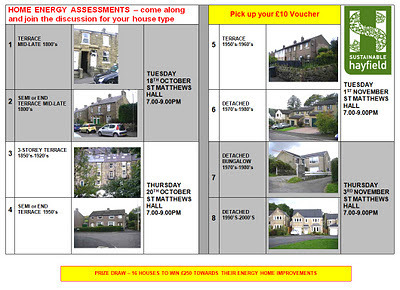 Plus 16 houses will win £250 towards their energy improvements﻿! OTHER HOME BAKING, FRUIT PIES FLANS & SAVOURIES.